When it comes to the sport’s world, there are so many statistics you can keep track of it is almost mind boggling. Fortunately, there are pieces of software that help keeping track of these statistics more efficient. One of these pieces of software is known as GameChanger. 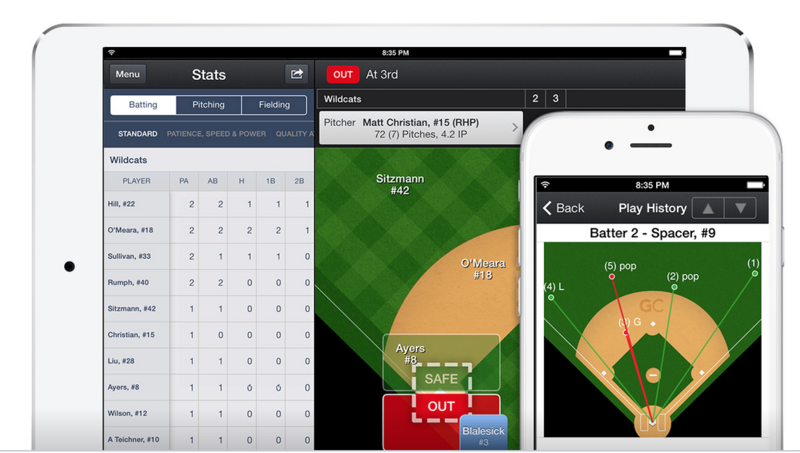 GameChanger helps you keep track of stats and conditions of the game like no other. You can step in the shoes of a manager when it comes to keeping track of softball games by keeping track of the score, how many hits someone has, or even how many times someone has pitched a strikeout. You can even use the GameChanger app to keep track of spray charts and pitch counts. Applications like these are useful for when you need to determine who should be in what role and how efficient they are at what given time. Knowing stats like the pitchers pitches per at bat and a pitch strike percentage can be detrimental to your game and really give you the advantage no one else has. If you need to do more than track stats, you can even customize the way you keep score. For instance, you can use the app to change rules around on-the-fly and even categorize the stats you track and how old certain players are in the game. Another useful feature of Gamechanger is that you can use it to manage your team more effectively. You can even use the app to keep everyone in the loop via a text message so everyone knows what play is being done and who is playing what position. This is essentially a community all your own within the app so no one is confused with what is going on. Setting a roster and getting everyone on the same page is an essential function of the game; GameChanger makes this effortless and fluid with their all-in-one app feature. Having just one schedule can definitely save on time without having to individually keep people in the loop, and that is a feature that every coach should want. 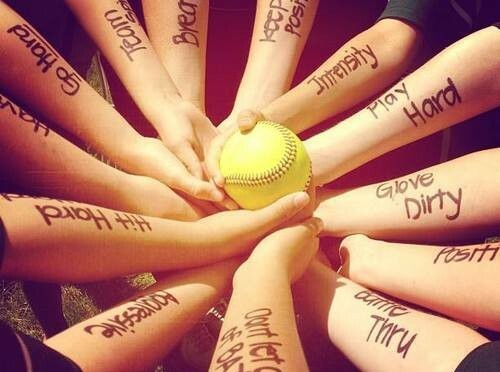 Playing softball itself is just one aspect of the game but being able to make your team better is another. GameChanger is seriously what it says its name is and is something everyone should invest in. It is free for coaches and scorekeepers so there is absolutely no excuse not to give it a shot. When you play on a softball team, having a place to practice should be at the forefront of your goals. There are many different places and cages you can go to in order to increase the efficiency of your batting average, but what if you just want to stay home and practice? There are batting practice systems that you can use directly from your backyard that are just as effective. There is a company by the name of Solohitter that is used by coaches and players all over the Little League, and even in the Major Leagues, that can help increase their game in terms of batting. A Solohitter is a netted area where a ball is attached from a wire to the gate, so when you hit the ball it bounces against the net and comes back to you. With this, you can practice on your aim, power, and precision and have it at its greatest peak in no time. 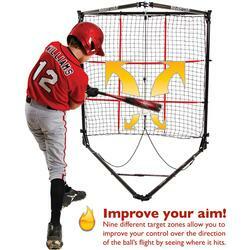 This will help you improve your hand-eye coordination, you do not have to chase balls around and it requires no pitcher, you can adjust the ball height to any height for the player, it helps to reinforce proper hitting position, is perfect for backyard batting practice, and it can be used at any time at any place. When you are at bat there are a lot of things to consider in a short amount of time. You need to be sure you have practiced enough so this is all muscle memory to you, and the Solohitter can certainly help with that. It is interesting to note that there are even people in the Major Leagues that still use a Solohitter to this day, and there is no substitution for it. For the serious athlete that wants to improve their batting average and batting precision, you need a Solohitter. Some of the greatest players to ever hit a ball have used a Solohitter and they come highly recommended. This will help you not just improve your batting power but also your bat speed and will help in a smooth, consistent swing. Being precise is just as important as hitting the ball hard and both require practice and dedication. So, the next time you find yourself needing to improve your game make sure to take the time to invest in a Solohitter and watch your skills increase before your eyes. 1. Know the game. Develop a clear understanding of NCAA rules and core course requirements. Create a recruiting game plan, then execute it with the same dedication you bring to your sport and your academic work. 3. Get your video out there. Make sure that your highlight video and full game footage is viewable online or available in a format that can be easily distributed over the web as soon as a college coach requests it. Use our tools to get evaluated—this will help you target the right softball programs and help coaches find you more easily. 4. Contact 50-100 “right-fit” schools. Take a realistic look at your academic qualifications and athletic ability and set your recruiting targets accordingly. There are 289 Division II and 412 Division III schools that offer softball scholarships, and they can be great options for student athletes with the commitment and drive to play at the college level. Then go after them – you need to contact 50-100 realistic programs to get recruited. 5. Take control. You and your family – and not your high school coach – are ultimately responsible for the outcome of your recruiting process. The target you give to the pitcher is one of the most crucial aspects to receiving the pitch. To receive the ball well and be able to frame the pitch we want to start by giving a nice open-glove target to the pitcher right down the middle of our body. We want to get her locked into the target. But when she starts her motion, we want to relax our hand and wrist so that we can adjust to the pitch. This relaxing of the hand and wrist should cause the glove to slightly drop or turn and the we turn up slightly up to receive the ball. This allows us not only to receive with nice soft hands but be able to react quickly to changes in location. The Tennis Ball Under-hand toss is great drill for many reasons. It promotes soft hands because the ball is light and takes some coordination to catch. It also promotes a good stance, if done correctly. There are some good lessons to be learned by doing these drills 100% correct. This drill is fairly simple. The coach (or a partner) throws the ball to different locations and the catcher basically catches the ball and holds it, as if she were presenting it to the umpire. Your goal is to be the best receiver on the team and in the area. That was always my goal. It’s the only way to become the best! Mix it Up: Mix in curve balls and change-ups so you can work on receiving these pitches the right way too. Gradually, make it harder on your partner – make her work! If you are you a Student-Athlete who aspires to play at the college level here are some things you should know. 1) Start planning in your freshman year. Create a profile at the beginning of your sophomore year or thereafter at the NCAA Eligibility Center and become familiar with the information on the site. 2) Grades matter. Colleges want Student-Athletes, in that order. Admissions officers and coaches want students that can handle the rigors of the college coursework and are capable of making positive contributions to the team. 3) Take the most rigorous core academic courses available at your high school. For a listing click “List of NCAA Courses” under the Resources tab on the eligibility center website. Become familiar with the academic eligibility requirements for each level of play, Division I, Division II, Division III, and the NAIA. 4) Update your online profile yearly. Independent of your profile put together a marketing (yes, marketing plan) for how you–the athlete–will get in front of prospective college coaches. Be sure to follow the strict guidelines for coach contact listed on the eligibility center website and then work your marketing plan. Athletes should take ownership of their own promotion, not parents. There is a fine line between being a parent who wants to promote their kid to one that is overbearing. Coaches want to hear from the athletes; not Mom or Dad. Most importantly, Student-Athletes should remember that there are great schools at all sports level divisions and that the more willing they are to cast their net far and wide in their college search, the more schools and opportunities they will find to play at the college level. As a catcher myself and training throughout the years this is one skill that has been to me an after thought to many catchers and coaches. Although, It’s unrealistic to expect a pitcher to throw a perfect strike every pitch, and in some situations, the pitch might be out of the strike zone on purpose. As such, it’s crucial for every catcher to be skilled in blocking. When a ball is in the dirt, you only have one job: Prevent the ball from getting past you. But don’t let this responsibility daunt you. Catching might not by glorious or popular, but in my opinion it’s the most important spot on the field. If a catcher can’t catch, the pitcher can’t pitch, and it all starts with proper blocking technique. So take the following tips to heart and you’ll be unstoppable behind the plate. In part one we will take a look at the stance. We truly have to put ourselves in a position to be able to get our feet out from under us and get our knees to the ground. The only thing that can slow us down is our feet, but lets not allow that to happen. We first have to get into a stance that allows you to move your feet quickly when necessary. This stance, again, should be balanced with a strong lower-half ￼and a relaxed upper-half. What this means is your legs should be in a flexed position (strong) and the upper-half of your body (chest, shoulders, arms, wrists, hands) should be in a relaxed state to be able to react quickly. Let’s compare this to our hitting and fielding stances. How should you feel in your stance? It is very similar to any athletic stance. Flexed lower and Relaxed Upper. Create a rhythm to stay loose, just like in your batting stance. Relaxed muscles are fast muscles! Stay tuned for more catching tips. Hitting a softball is not easy if you don’t have the right fundamentals nailed down. Coaches emphasize correct softball hitting fundamentals because they know: for players to be successful at the plate they need to have the fundamentals properly aligned. Hands inside the ball-back toss/fence drill/throwing drills/inhibitor drills. Rhythm and movement—Hitters should have some kind of constant movement in the set-up. Not a stationary position! No start causes premature weight transfer with stride. Weight remains inside of feet at all times. Getting back early and soon are keys to a good start, which occurs prior to the pitcher’s release point. Stride foot must be down before the swing starts. Stride should be directly toward the pitcher with the front foot closed. As a general rule, the hitter’s head should move 1/2 the distance of his stride length. Timing is different for all hitters depending on body type, stride length, stride height, swing path, and bat speed. Once the stride foot lands, hands and backside of body rotate down through the zone with hips and shoulders relatively level throughout. Contact is made out in front in relation to the body. Inside pitch is hit farther out in front than the pitch away. Bottom hand starts the swing and the front arm stays bent until it straightens naturally out in front near contact. Hands should be “palm up, palm down” at contact with eyes and chin slightly down. If “on time” contact is made against firm front side with the back leg in an “L” position and balanced. The swing turns the body, not the body turning the swing. Finish naturally the swing that was started. Do not try to “help,” “quicken,” or “add power” to the swing by forcing or shortening the finish. The body should be balanced and relatively level on the finish. The swing should finish at shoulder level or higher. If you finish below the shoulders, it will signal that you cut the swing off prematurely. Most swings will end up shoulder height or slightly above. A low finish is usually a sure sign of a swing that has been cut-off prematurely. The head and eyes should be on the contact point throughout contact. To ensure this head position is there long enough, practice leaving head and eyes on the contact point until the swing is completed. Shoulders rotate around the chin during the swing and the chin ends up touching the back shoulder upon completion of the swing. Hello and welcome to the new PLAY BALL! blog. I’m so glad you’re here; I hope you find some interesting and helpful information, new ideas, and opportunities to join the conversation! Here’s where you’ll find the latest & greatest news on everything about women’s softball – from cool product updates, tips and drills, information on recruiting to interviews with leaders in women’s softball. Plus you’ll see PLAY BALL! Athletes in the spotlight with our Student-Athlete star profile. Along the way, we’ll try to make this blog a touch more interesting to read and allow you to be apart of the conversation. So bookmark this blog, email to a friend/colleague or add our RSS feed, and let’s pump up the volume on news at PLAY BALL!. And of course, we’d love getting your feedback on PLAY BALL! and this blog — and what you want to see discussed (and showcased) in the future. Private softball lessons are an excellent way for a player to advance her personal skill level in a one-on-one event. In private lessons, we can expand the tudent’s strengths, develop new areas of skill, and encourage greater confidence on the field. providing cutting edge instruction to develop player ability and master game fundamentals.